One of the most popular uses of Mitragyna Speciosa is for the purpose of opiate withdrawal. 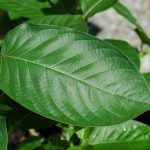 Embedded into every leaf of Kratom, the unique chemical composition of alkaloids affects the brain in ways suitable for easing withdrawal pain and reducing cravings, which is why Kratom is one of the best and most natural solutions for dealing with the consequences of narcotics abuse. How Difficult Is Tramadol Withdrawal? Opiates like hydrocodone, oxycodone, oxycontin, suboxone and heroin are all extremely addictive substances, and for those determined to stop using them, side-effects like muscle and body aches, a restless leg syndrome, fever, sweats, lethargy and excruciating pain are major obstacles. Similar to those, a very powerful narcotic-like pain reliever, Tramadol, is quite aggressive in terms of developing a habit, and in cases of longer usage, it may cause more harm than good to an organism. The list of symptoms a person will very likely experience once the effects of Tramadol start to diminish is a quite long one, and includes troublesome after-effects like aggressiveness, depression, anxiety, diarrhea, insomnia, tremors, poor appetite, even freighting nightmares and hallucinations. Luckily, Kratom can ease a majority of those, thus allowing the organism to detox and cleanse in a less painful way. How Does Kratom Ease The Process? As an opioid agonist, Kratom mimics the effects of opioid drugs like heroin, morphine, hydrocodone, oxycodone, but it doesn’t form an addiction or cause damage to the body and mind, hence never resulting in similar withdrawal symptoms like the rest of the medicaments usually used for the purpose of pain relief. Unlike those, Mitragyna Speciosa products are actually 100% natural remedies and act as gently as herbal supplements. Being the main alkaloid in Kratom, Mitragynine impacts the brain and alters its chemistry in a way that eases the body aches and calms the mind, thus acting like a valuable organic replacement for morphine. In fact, another Kratom alkaloid, 7-hydroxymitragynine, which connects to the brain in harmony with Mitragynine, has been reported to be a more powerful pain reliever than morphine. Together, these alkaloids directly affect supraspinal mu- and delta- opioid receptors, and by doing so, effortlessly alleviate withdrawal agony up to 90 %. Which Kratom Strains Should You Choose? There are many different strains of Kratom, as well as various forms in which this plant can be consumed. Apart from being completely safe, a majority of people choose Kratom instead of prescription drugs exactly because of the vast array of possibilities that this natural remedy offers – for your personal convenience, you can take it as a powder, swallow it in the form of a pill or even drink it as a tea or a milk shake. As attested by the users, a Kratom strain that’s been proven as a highly effective solution for symptoms of Tramadol withdrawal, including cravings, lethargy and acute pain, is Maeng Da, one of the strongest energy boosting strains on the market. Similar effects can be achieved with the Borneo White vein, Thai kratom and Malaysian Green Kratom. Each of these varieties has a unique potential for decreasing body aches and increasing energy levels at the same time, and it acts simultaneously as a pain reliever and a stimulant. Although some basic guidelines concerning dosages have been established, the effectiveness of one Kratom dose usually depend on your weight, age, using experience and the physical, as well as the mental condition you are currently in. For that reason, it is highly recommendable to start taking Kratom in small dosages, and then gradually increasing them if needed. The dosage considered as low is 1 – 3 grams of powder, while a high dosage is anything that goes beyond 8 grams. When used responsibly, Kratom can do wonders even for the most severe of psychosomatic conditions. In the case of opiate withdrawal, which Tramadol frequently triggers, this natural remedy is equally gentle to the body and invigorating for the mind.